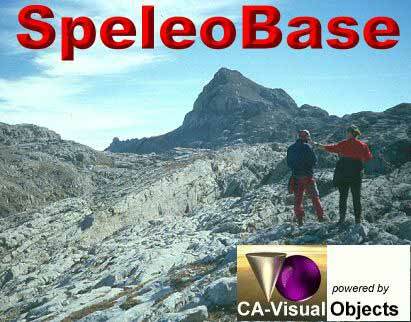 SPELEOBASE is a modern and powerful Windows program that lets you build a database with caves. Nothing new, you might think? But yes, this is something different! This database has been especially designed for cave-explorers, and makes it possible to manage all caves and cave-related files from one central starting point! You can search in SpeleoBase, sort and filter on different criteria, print out caves and even email them. The philosophy is this: starting with the cave record that you are working with, you should be able to access and open any image, survey, document or even videoclip that is related to this cave. Without leaving SpeleoBase! If you want to know more or download it; click here!